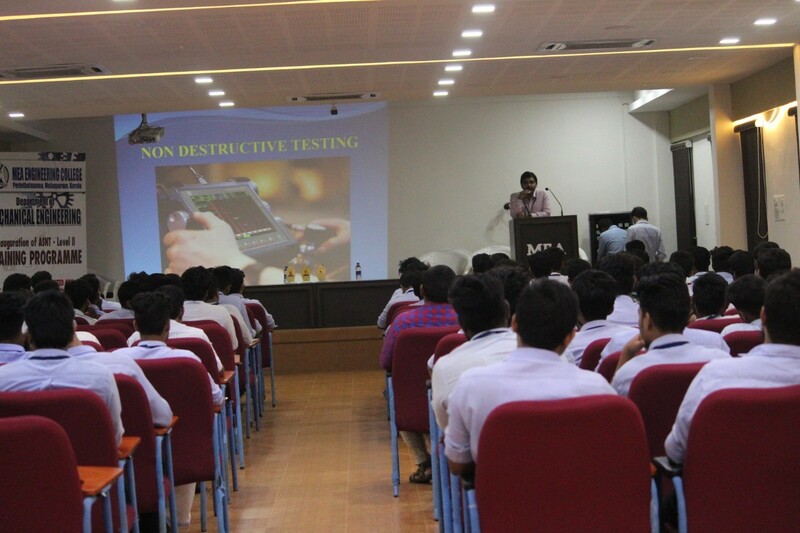 Committed to deliver skilled mechanical graduate engineers to the society, the Department of Mechanical Engineering at MEAEC in collaboration with UNITED NDT Training and Inspection Centre – Cochin, has organized a training program on ASNT (American Society for Non Destructive Testing) Level II Non Destructive Testing. 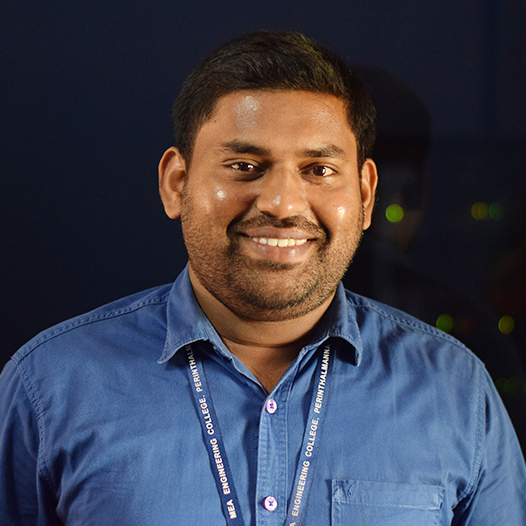 This training programme is open to the third and final year mechanical engineering students, facilitating hands-on experience in latest NDT techniques along with national/international certification. The programme also provides industry standards for our academic courses and helps in building brand image for the students and institution. 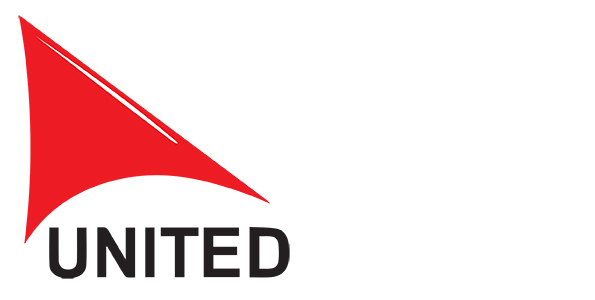 The training programme involves evening theory sessions and full day sessions comprising the practical and exam in addition to the routine classroom lectures in NDT. Certification and ISNT membership shall be awarded to the registered candidates upon the successful completion of the course. The Department of Mechanical Engineering conducted the inaugural function of ASNT Level II Training Programme at the Main Block Seminar Hall – MEAEC, on 12th October 2018. Eminent personalities from the civil services and corporate sectors along with the various dignitaries and Excellencies of the institution shared the occasion. 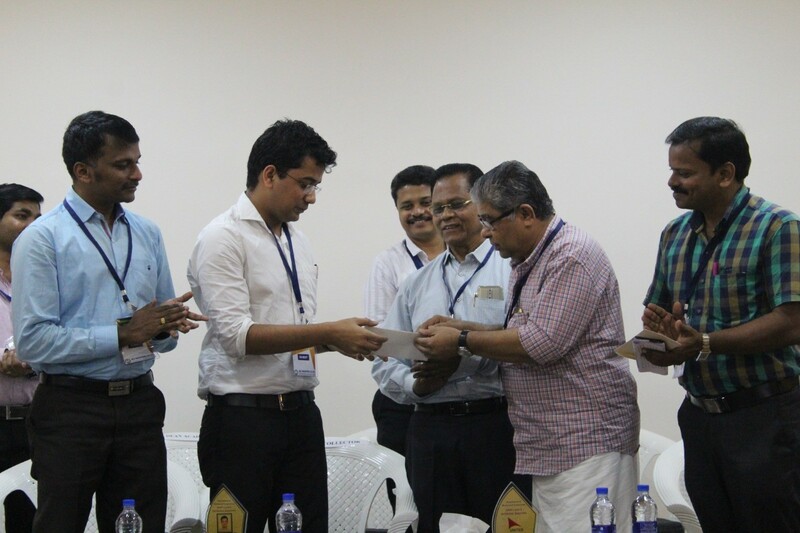 Mr. Vikalp Baradwaj IAS, Assistant Collector – Malappuram, inaugurated the event and outlined the need of engineering skills in delivering valuable services to the society. 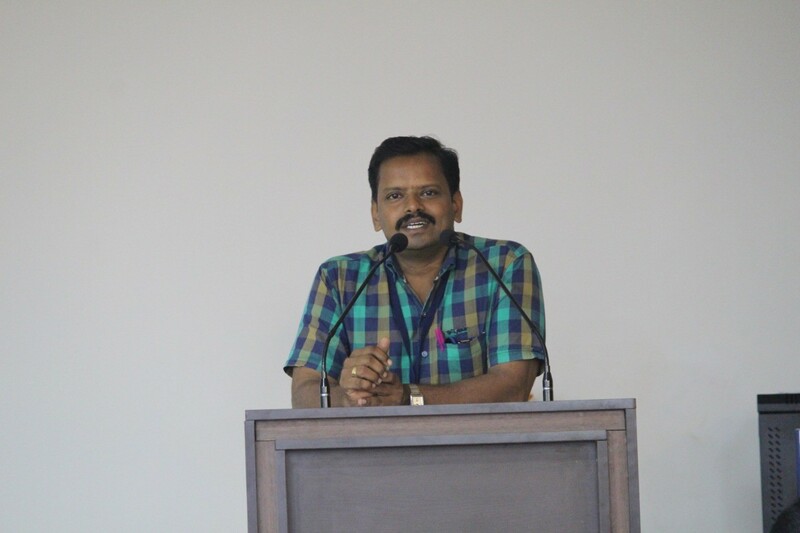 Mr. Damodar Avanoor, CEO – Lohashilpi, delivered the key note address and encouraged to organize similar training programs to mould pro active graduates. 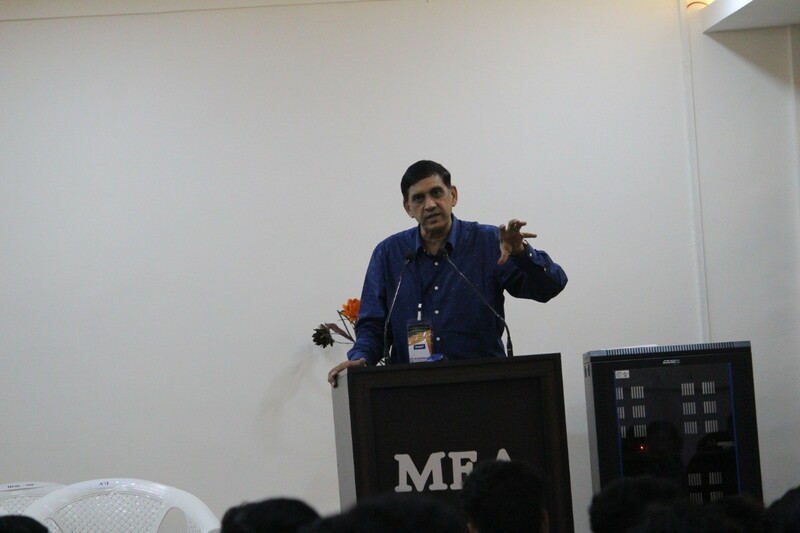 He also elaborated upon the various opportunities and encouraged students to bring forth innovations by always trying something new. 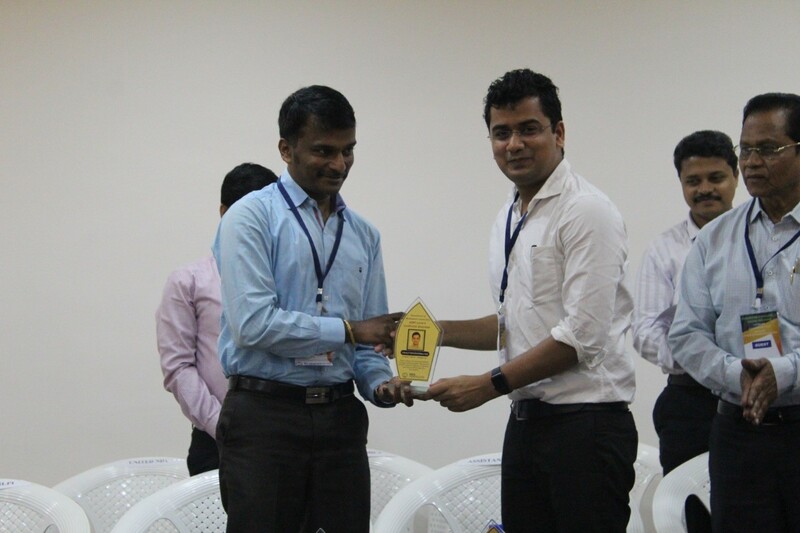 Mr. Aneesh C B of UNITED NDT delivered a short presentation on NDT as a part of introductory training to the students. 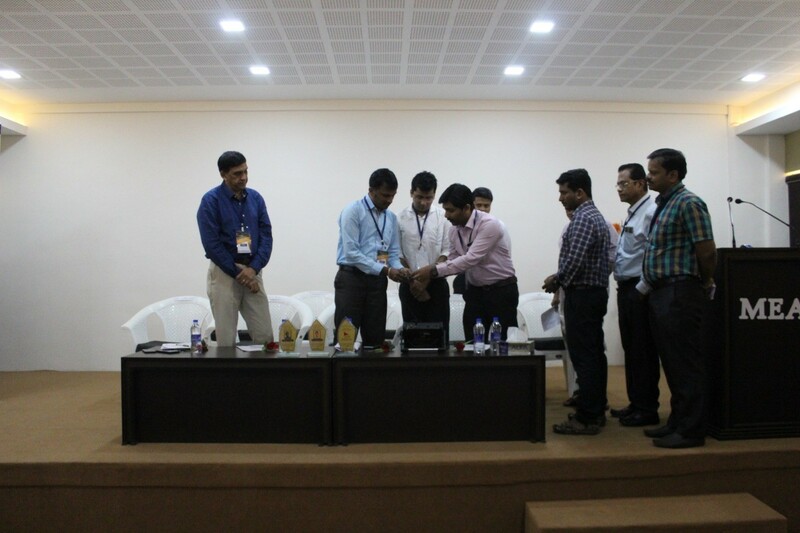 Various Excellencies of the institution felicitated the event – The Principal (Dr. Rajin M Linus), The Director (Prof. Dr. V H Abdul Salam), The Administrative Manager (Mr. C K Zubair), The Vice Principal (Mr. Haneesh Babu K T) and The HOD – ME (Dr. G Ramesh). The other dignitaries of the event were The Principal of MEA College of Architecture, The Dean of Academics – MEAEC and the Head of the various Departments of the Institution. On behalf of the institution, Mr. C.K. Zubair handed over a cheque favoring CMDRF to Mr. Vikalp Baradwaj IAS, in support of the ongoing relief and rehabilitation efforts in the aftermath of the devastating flood. Mr. Vikalp Baradwaj IAS inaugurating the ASNT Level II Training Programme at MEAEC by demonstrating MPI NDT.